There have been two recurring themes in dreams I’ve had since I was a wee one. The first was being chased by something — mummies, vampires, mean robots but most often vehicles and in true Killdozer style, the vehicles would always be driver-free. Two I recall vividly were a muscle car from the late 60s/early 70s that chased me down a neighbor’s driveway (I escaped by leaping onto the branch of a tree that hung over the end of the driveway), the other a giant-sized dump truck with the front bumper missing, which made it much scarier. The chase dreams pretty much ended as an adult. The other theme has been ferry disasters, which I’ve talked about before. Last night I had one of these dreams and as with most of them, it wasn’t really scary, just weird. I don’t recall who I was with but we were on the ferry and as usual, something goes wrong. This time it seemed like some kind of stability issue, which we noticed when the ferry began lurching to the side so severely as to nearly touch water to the passenger deck. Then, while still motoring along, the ship does not one but two complete barrel rolls. Yes, it capsizes twice. But it manages to right itself and we were apparently wearing our capsizing boots and were none the worse for the spinning. But now it was clear the ferry had to get to the terminal and dock ASAP. The ferry starts racing along through the water and is kind of wobbly, pitching a bit from side to side. At some point I move to the front lounge for a better view ahead and we are entering a winding river-like area that doesn’t actually exist. Perhaps because of the ferry’s excessive speed, instead of attempting to navigate the serpentine path, the captain has the crew shovel more coal into the boiler and guns it toward a giant pile of smoothly-shaped rocks. Maybe it was a hill covered with rocks. Whatever it was, it was clear we were going to jump it. The ferry hits the hill and scoots up it and out of the water, then flies off the top and soars like a wingless bird. For a few moments as the ship flies through the air we ponder what the landing will be like. But not to worry — the ferry lands upright and everyone’s okay. But not! Because the terminal is dead ahead and the ship is going way too fast! The engines are put into full reverse and the water churns furiously as we speed toward the dock. The ship slows, slows some more and then finally eases into the dock as if this was the end of a perfectly normal trip. Roll credits. Jogging: now featuring random hate and incitement! Today’s jog was 30 minutes. It was overcast and about 8ºC, so pretty mild comparatively. I ended up taking the gloves off for the last few laps. This means my hands were getting warm, not that I was running down and trying to punch out another jogger. The highlight was nearly twisting my ankle dodging around one of the mud pit-like corners. That would have made for a truly awesome third run back. 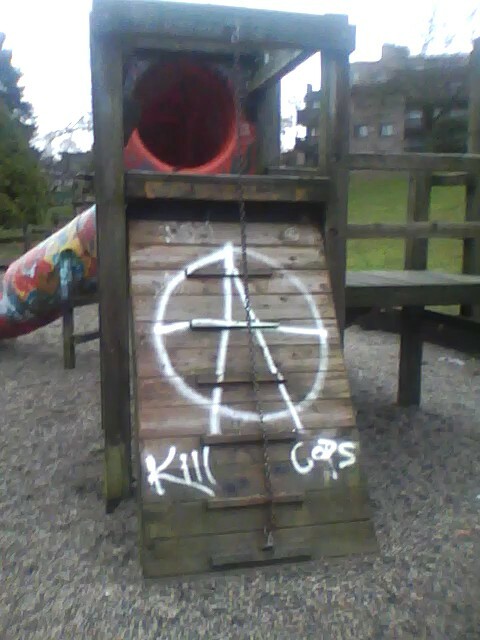 A charming piece of work to greet the pre-schoolers as they climb up to the slide into anarchy! More anarchy symbols were festooned across the rest of the equipment by whatever blithering idiot did this. I was also going to post a pic of my dirty running shoes but frankly they just don’t look dirty enough. The forecast for the week suggests drier and colder weather to come so I seem to have lucked out so far as the rain goes on my return to jogging. After buying a replacement Nike sensor, I was able to successfully revive my original one. Thank you, Murphy. Today’s run was done under an overcast sky with the temperature a brisk 5ºC. I still went triple-layered up top and the verdict is two is definitely sufficient for this weather. I opted for shorts this time and though it was a bit chilly en route to the park, I was fine once I’d started running. It looks like Tiger Woods won’t be whispering me sweet nothings through my nano for awhile yet. I ran for 25 minutes and not surprisingly, my pace was pretty slow. I could definitely feel the stiffness in my legs holding me back but I (wisely) chose not to fight it. I stretched before and after the run. It will be interesting to see how my performance improves after such a long layoff. One thing I’ve noted is my stamina is still quite good — I don’t feel exhausted after these shorter runs. I may try for 30 minutes next. Excelsior! Last night I had a long, involved dream that played out like a movie. There were even “shots” where the camera seemed to be tracking. From what I can recall, the story was set in some unnamed present day country that was apparently in the midst of a revolution (possible source: the coup in Honduras this past summer). Much of the city that the dream took place in was abandoned or in ruins but there did seem to be some semblance of life. I remember one part where a blind alley or tunnel opened into a plaza and there were a few men with weapons waiting for people to come through to shoot them. The people being shot were civilians, as far as I could tell. I have an image of a woman and some children running along a street and being brought down by automatic weapon fire. Since I wasn’t in the dream I had no reaction to this, the events just kept playing out. The final part of the dream featured several men who may have been part of a resistance group. They were moving through an abandoned building that looked like it was once a hospital. It was bare of all furnishings and was dark, save for a pale blue light that washed through every room. This seemed to key in to an earlier part of the dream and I understood they were sneaking their way through to avoid being seen or captured. They went down some stairs and finally came to windows that were brightly lit by the sun. They exited onto a small street that was somehow cut off from the oppressive forces and the people here were relaxed, even happy. The meta part of this dream came in an unrelated dream afterward. I was with friends and one was apparently using some kind of “hair solution” to grow back the hair on his head and was a bit embarrassed by the discussion, though he did in fact have a pretty good head of hair. I suddenly remembered the previous dream while in this dream and started telling my friends about it, just as I have written it out here. They weren’t particularly interested, so I stopped. I don’t think that’s ever happened before. It was odd. Send Obama out there to calm the waters – after all he can walk on them can’t he? And let people start blaming Gordon Campbell, Steven Harper, and the 2010 Olympics for all of this… now! You posters on the BC CBC Message Boards are really starting to sound like a broken record. Doesn’t it get annoying repeating the same thing over and over again? Doesn’t it get annoying repeating the same thing over and over again? I am sure Adrian Dix will find the storm was caused by HST panic, an NDP generated condition. I hate being cynical concerning the intelligence and thoughtfulness of the average guy but these people, I tells ya, they test me! My thighs are sore but the calf is still okay. Since I was expecting some post-run stiffness, this is not a surprise to me. After a one-day delay I finally hit the trail again after more than five weeks of non-jogging (or walking, if you prefer). Conditions were 8ºC and overcast, with the threat of rain. By the time I got to China Creek Park it was misty, which is enough to thoroughly soak you without actually raining. The mist persisted throughout the run. I discovered my jacket is less than watertight. I had dressed in three layers — t-shirt, long-sleeve shirt and light jacket, plus tights instead of shorts. I also wore a pair of running gloves. There was one other jogger at the park and all he was wearing was a t-shirt and shorts, both white. He looked like he had escaped from the set of Chariots of Fire. In retrospect I was probably slightly overdressed, especially considering there was little wind but it wasn’t bad. I warmed up all over but never got hot. Two layers would have sufficed up top and shorts are probably good until the temperature drops to at 5 degrees. After a near steady month of rain large sections of the path at China Creek had become bog-like and pretty much impassable, forcing me to run inside on the grass for much of its length. Not a big deal, though. My pace was deliberately steady — no bursts of speed anywhere along the way — and I ran for a planned 20 minutes or so. I think I completed six laps, though I wasn’t keeping strict track. I would have kept strict track except the Nike sensor apparently died during its long spell of inactivity, even though I turned it off specifically to save the battery. This just makes me hate Apple even more because they always pull this kind of crap (and yes, it’s an Apple product made in conjunction with Nike). Boo Apple! Boo, I say! Until I can find a decent alternative I’m stuck with getting a new sensor, though. I picture Steve Jobs rubbing his hands together with glee. I’ll be running again in a couple of days and may extend the distance a little bit. We’ll see how it goes but I feel pretty good now. No real soreness and the injured calf seems to be fully healed. Yes, it’s the time of year where every other post is a complaint about the weather. We are on track for a wetter than normal November and in truth it doesn’t really bother me much. However, seeing this on the mountains makes my toes scrunch up in horror. A novel in 3 weeks! On Saturday, November 21st (last night as I write this) I finished my novel for National Novel Writing Month. The Ferry is now a 50,810 word novel and the first I’ve actually finished. On reflection I am a little amazed I actually wrote a novel from beginning to end in just three weeks. The second draft will probably take a good deal longer to finish but I am relieved and happy to have gone through the experience. Once I get the second draft down and have a few people take a look-see at it, I’ll tackle the other novel that’s been rattling around in my head for the last decade or so. Tomorrow is the day marked on my calendar as “I may run again!” It has now been four weeks of non-running as I recover from my sprained calf. Actually, it’s been more than five weeks as I took a few days off before going to the clinic but who’s counting? The answer is I am, dammit. I hated not being able to run. The last time I did a complete run I was wearing a t-shirt and shorts and it was dry. 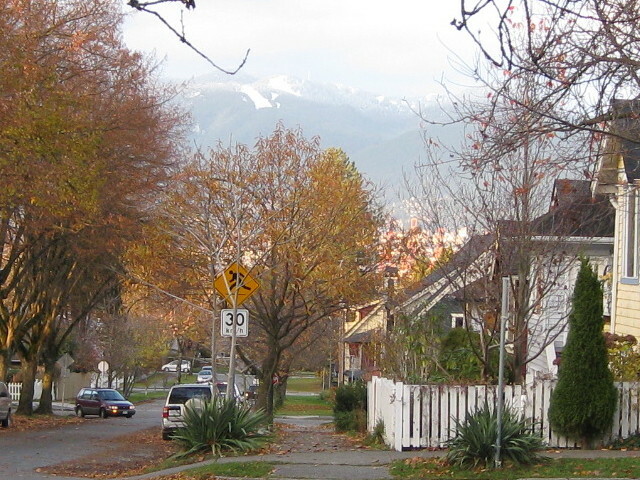 Tomorrow the forecast is calling for rain and 7 Celsius for the high so it’ll be interesting to see the difference. 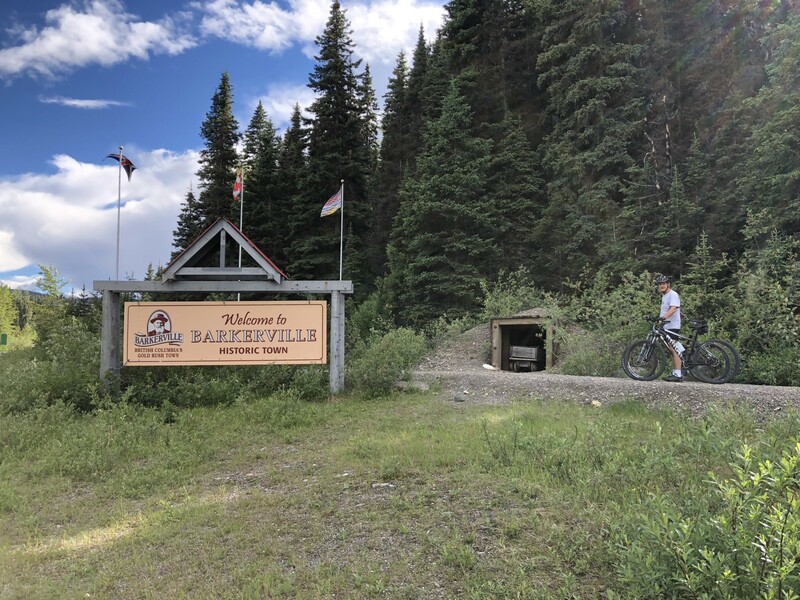 I am planning on returning to China Creek for a nice easy 20 minute run. I imagine the trail is a bit soggy now, though running in the rain is something I find kind of refreshing. Watch as I eat these words soon! I finally decided to replace the generic nature image in the header of the site with a new generic block of colors I made using my highly developed artistic skills. This may change yet again.